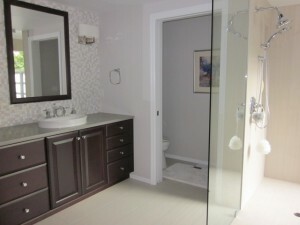 This master bathroom with a custom built walk-in closet features the latest trends in bath decor. 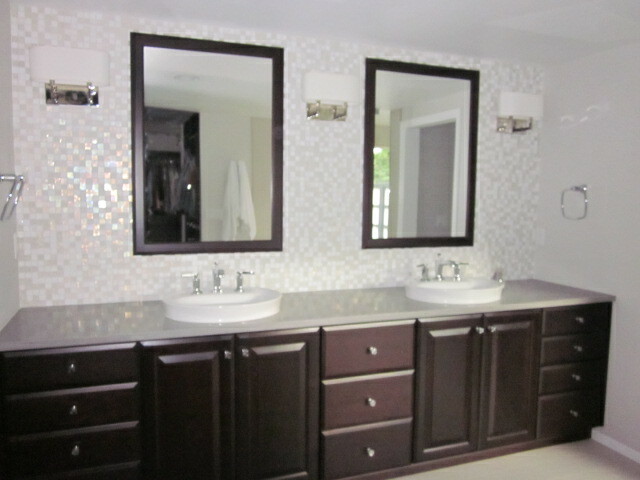 Maple cabinetry with a dark stain, custom built framed vanity mirrors, Kohler bath fixtures and accessories, and tile throughout create a serene bathroom suite. 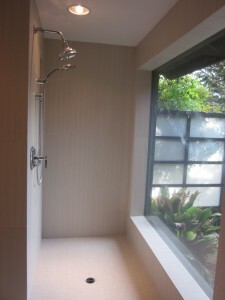 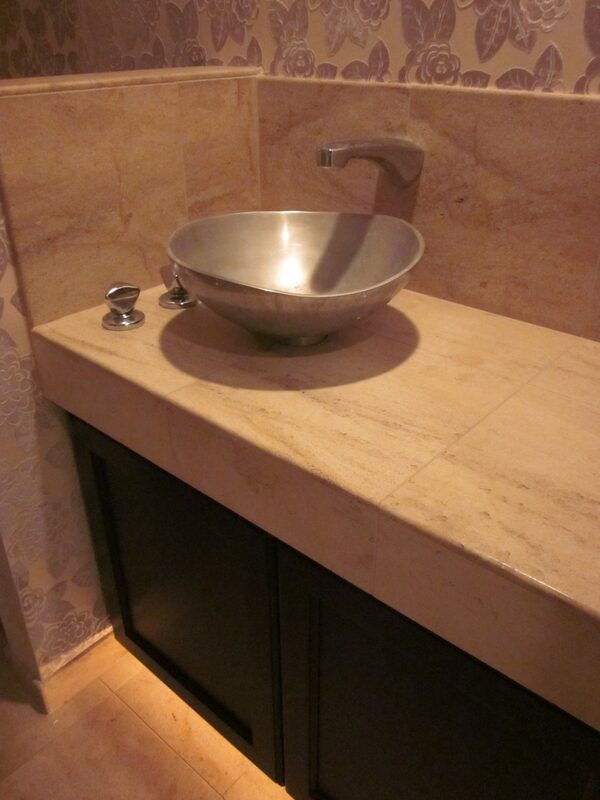 The shower features DalTile “Fabrique”, Kohler “Margaux” shower controls in chrome and a hand held sprayer. 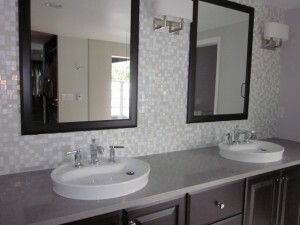 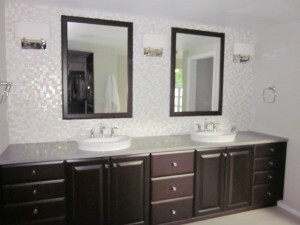 Oceanside glass mosaic tile makes this spacious bathroom dazzle. The cabinetry is in maple with Caesarstone countertops in Pebble. 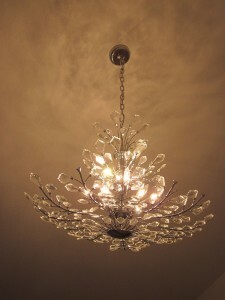 This Designer’s Fountain Grandeur chandelier is gorgeous in the master bedroom. 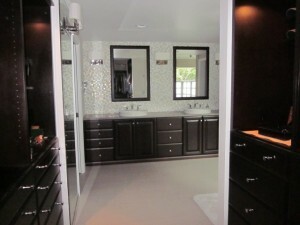 The master suite isn’t the only room in the house that got some attention! 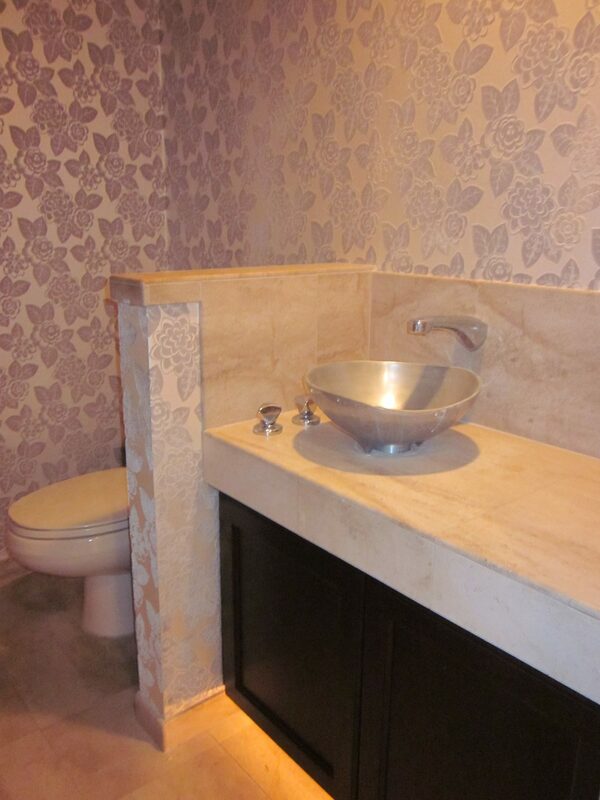 This Candice Olson “Flocked Floral” wallpaper is a beautiful backdrop for a vessel sink. 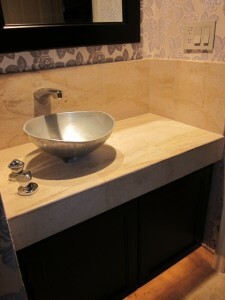 Note the under-cabinet lighting which casts a warm glow.